Rock iguanas (Cyclura spp.) in the Caribbean islands are collectively threatened by habitat destruction. The only two species that occur sympatrically, Cyclura ricordi and C. cornuta in the Dominican Republic share a considerable degree of dietary overlap; this may have caused them to partition their diets and consume abnormal items, including animal protein. To better understand how these species influence one another, and how they resolve competition for limited resources, I utilized stable isotope analysis to estimate their foraging ecology, niche overlap, and the potential for depredation on C. ricordi by C. cornuta. 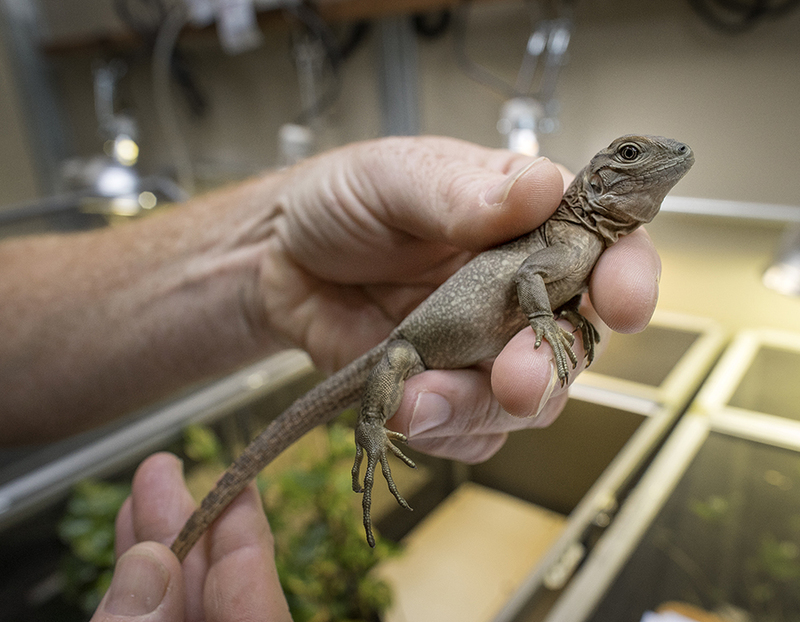 To best model their diets in the wild, I developed stable isotope discrimination factors from captive rock iguanas at the San Diego Zoo Reptile Conservation Center.